...NeoDownloader makes it easy to download images, songs, and videos in bunches... (review by Lee Mathews, PCWorld). Downloads URL ranges (fusker links like http://www.domain.com/images/pic[1-16].jpg). Downloads list of URLs - you can specify any amount of URLs. Advanced filtering - allows you to download only those that you want and to avoid unwanted content. Looking for a crack, serial number, registration code, or key generator (keygen) for NeoDownloader or other batch picture downloader? Try instead NeoDownloader Lite - it is a completely free bulk image downloader (jpg/jpeg only). from software sites like download.com, snapfiles.com, etc. I tried a number of these types of programs, paid for them, and was usually disappointed. So when I tried NeoDownloader and it didn't work on my favorite website, I thought, yep, another that doesn't deliver. But when I emailed support I immediately got a reply, a request for more information, and how to make the program work for the website! That is the kind of support you get from a developer that actually cares about his customers. NeoDownloader works far better than any other program of this type, and I've tried a lot of them. But what really makes it stand out is this: if you have an issue or a site for which it doesn't work, NeoDownloader's support will help you out. And based on my experience, they will help until they get it to work, even if it requires updating the program. I'm a real customer, and my advice - stop looking, this is the one you want. Pros: Easily get pictures of websites without having to doing it one by one. Cons: None ever that I can think of. 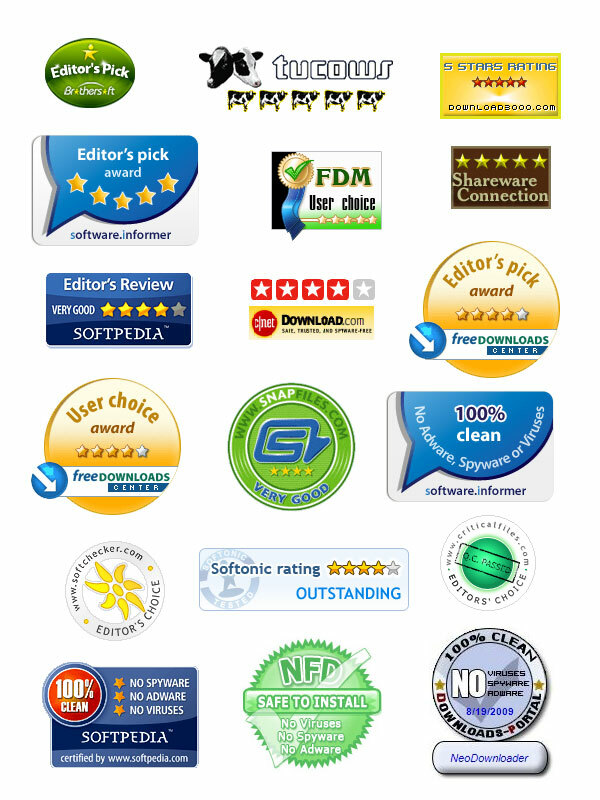 Summary: NeoDownloader continues company's great tradition of building quality, fast apps for what people want. While others throw in the the kitchen sink, NeoDownloader downloads any file with serious speed and ease. I love it. Pros: It was my third or fourth offline browser and none had made the learning curve as easy as NeoDownloader. In a minute, one is in business..
Pros: Easy to use. Runs quietly in the background. Easy to customize for your personal preferences i.e. type of image file - jpg, gif, etc. Options to set the min and max size to downsize. Create templates. Cons: For my needs - none. Pros: Set search/size parameters, unattended operation, minimize to task bar. Cons: No previewer, but I don't use one any way. Pros: works great, can download almost off every website. ive had the program for years. it has always been good to me. Cons: folder grouping in download file but nothing that you cant ajust yourself. no big deal. Summary: if you don't think you need it. buy it anyway because oneday you'll wish you did. especially if you dont have the money when you figure out you need it. Pros: Ease of use; Able to download pictures from a gallery or multiple galley; Very fast to download pictures; Create multiple projects which saves time and efforts. Pros: easy to use. saves time downloading files. Cons: As programs go I have no complaints about Neodownloader. Summary: I've used Express Webpictures (older version) and now Neodownloader for years. The product has always performed as expected without problems. I've found it easy to use and the support I've received from company for lost reg codes has been prompt. Pros: Easy to Install, and just as easy to use. It does what they say it will do plus a whole lot more. This one is a Rare Gem. Used the Lite Ver. first then a Free Trial of Full and had to buy it. See Summary for more. Cons: Fixed in full ver. If you hit the Finish Button after doing the Copy it will pick up the File Name in this Ver. so its not a Con but a Pro. Summary: This Program Works and I do use it. Some of the other we had tested do ok but this did so much better than the others it was no contest. The CPU Useage is low @ 8 connections it only hit 12% max and runs mostly @ around 8% Low Thread count and handle count. Did not Frag the hard drive like some do. Gets 95% or better of what it is sent after, again better than most. In the Lite Ver. it did not pick the File Name but in the Full Ver it does and thats a big Plus for Multi downloads like doing a complete web site. I Usally Do Not Post If One Does Bad Unless Its Really Bad, But I do Try to Post The Good Ones And This Is It. See post for Lite Ver for mor info. But this Program did very well even when we tried to make it fail by introducing static to the lines to make the packet fail rate go up, it still completed the job . The price is not bad and the buy on line is easy and fast. If you need this type program this one is very good and I do recomend it. It also passed the test on power failer, it resumed right back where it was and took back off no problem. Try it you will like it, Thanks. If you want to share your opinion about NeoDownloader, write us and we'll put it here.